The Forerunner 630 has all the numbers to measure a runner. The touchscreen GPS running watch features advanced running dynamics, extended psychological measurements and extensive smart features. Smart features include email, text, call and calendar smart notifications.The 630 also measures your heart to provide a stress score, performance condition and lactate threshold. NEW: Audio Prompts - receive audio prompts from your connected smartphone, including laps and lap times. NEW: 2nd Generation Running Dynamics - new running dynamics provide information on stride length, ground contact time balance and vertical ratio. NEW: Psychological Measurements - Provides metrics associated with stress, performance as it relates to previous activities and lactate threshold. IMPROVED: Battery Life & Screen Size - Longer battery life than the 620; 16 hours in training mode and 4 weeks in watch mode. Screen is 44% larger. 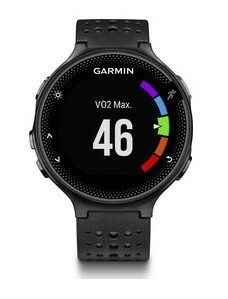 When planning a strategy for your next race, Forerunner 630 measures your VO2 max and can predict your race times for several distances, providing you with a time target. 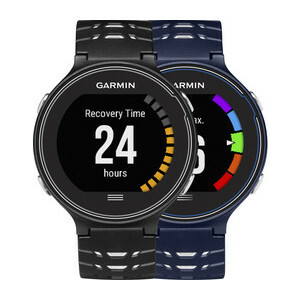 It also lets you know when to back off your training after a grueling workout or race with its built-in recovery advisor2.